One of the main benefits of being a certified forklift operator is that you’re pretty much guaranteed to find a job anywhere in the country that you wish to live. This is as true for people in Washington, D.C. with forklift training and certification as it is for lift truck drivers anywhere else in the country. “The District,” or simply “D.C,” is the capital of the United States and, as such, is not part of any of the 50 states. With a nice mix of both public and private companies in the greater D.C. metro area, employers are always looking for trained forklift operators in the nation’s capital. Whether you’re an employee or employer, CertifyMe.net offers forklift certification in Washington D.C. Our courses offer online convenience, affordable prices, and even free 3-year renewal training! According to statistics compiled by FORTUNE in 2014, 15 of the top 500 companies in the United States had their headquarters in the Washington, D.C., area. This translates to a lot of work for people in Washington, D.C. with forklift training and certification. Among them is Lockheed Martin, global aerospace, information security, defense, and advanced technology company, employing 116,000 people all over the world. General Dynamics, currently planning to build a 341-acre, $300 million “superpark” in nearby Needham, is another FORTUNE 500 aerospace and defense company worth knocking on the door looking for forklift work. With forklift certification in Washington D.C., you’ll have plenty of job opportunities. If you’re an employer, our Washington D.C. forklift certification is a great option to get your workers current with OSHA safety standards. Need Forklift Certification in Washington D.C.? Sign Up Today with CertifyMe.net! If you’re in Washington, D.C, have forklift training and certification and get a buzz off airports, there are three of them serving the D.C. area. 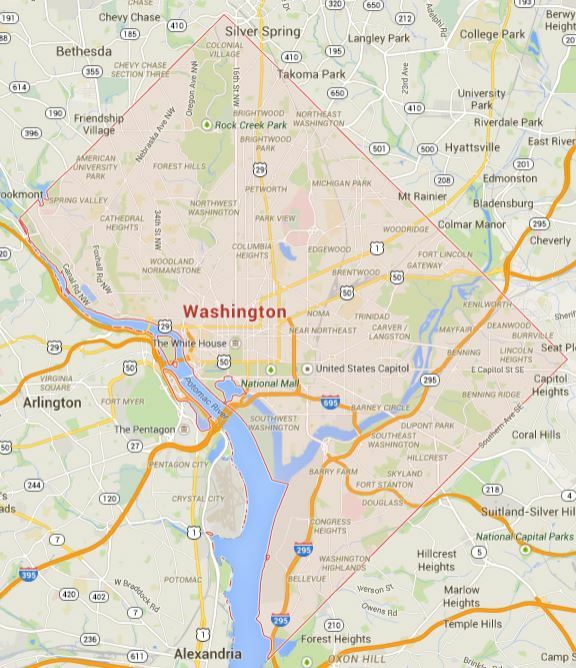 The largest is Washington Dulles International Airport, located 26 miles west of D.C. in the state of Virginia. Flights from Dulles go non-stop to 83 destinations within the United States and 50 international airports. Ronald Reagan Airport, also in Virginia, handles mainly domestic flights and lies across the Potomac River. Northeast of the District to the tune of approximately 30 miles lies Baltimore/Washington International Thurgood Marshall Airport in the state of Maryland. Airports are just one of the many types of facilities that employ powered industrial truck operators with Washington D.C. forklift certification. For capital city employers, CertifyMe.net is a comprehensive, no-nonsense solution to compliant issues. It’s illegal to knowingly allow untrained lift operators, and our forklift certification in Washington D.C. will get your workers OSHA compliant in no time! Of course, the best way to get trained and certified to drive a forklift in Washington, D.C., or anywhere else in the country, is through CertifyMe. With our 100% OSHA compliant online training, you can print your certificate in as little as one hour. Benefit from Washington D.C. forklift training and certification and contact us today to get started! If you have any questions about our forklift certification in Washington D.C., contact our OSHA forklift compliance consultants at 1-888-699-4800. Thanks for visiting CertifyMe.net!